This luxurious accommodation is located only a few minutes drive from the commercial and business districts, government offices and embassies and also easily accessible to Al Wahda and Abu Dhabi Malls. 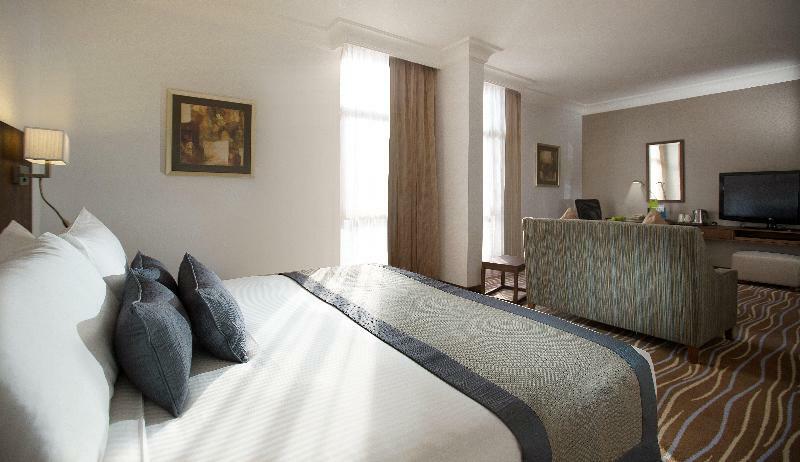 Guest rooms are equipped with LCD TV with satellite channels, mini bar, tea and coffee making facilities, in-room safe, work desk, WiFi access, hairdryer and en suite bathroom. Some of the rooms include a seating area and a kitchenette. The hotel offers a choice of six restaurants, bars and a cafe serving a wide variety of international dishes as well as an extensive selection of beverages. Recreational facilities and services include an outdoor temperature-controlled pool, sauna, fitness centre, ladies beauty salon and massage treatments can be arranged on request. The Ferrari World, Yas Waterworld, Sheikh Zayed Grand Mosque, Heritage Village and the Emirates Palace are some of the tourist destinations in the area. Abu Dhabi International Airport is 35km from the hotel. Guests can enjoy a pleasant stay in one of the 257 rooms. Most storeys are accessible by lift. Services and facilities at the hotel include a restaurant, a dining area, a bar, room service, a conference room, a business centre and a fax machine. Wireless internet access is available to travellers. Guests can buy daily essentials at the supermarket. Those arriving in their own vehicles can leave them in the car park of the hotel. In addition, a shuttle service is offered. Each of the rooms is appointed with air conditioning, a kitchen and a bathroom. Extra beds can be requested. A safe and a minibar are also available. For self-catering guests, there is a well-equipped kitchenette with a fridge, a mini fridge, a microwave and a tea/coffee station. Little extras, including a telephone, a TV, a DVD player and WiFi, contribute to a great stay. 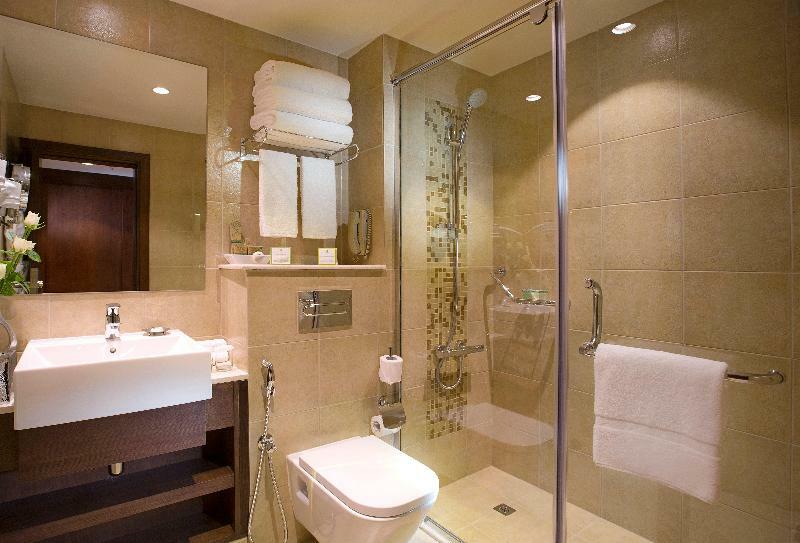 A shower and a bathtub can be found in the bathrooms. A hairdryer and bathrobes are available for everyday use. The accommodation offers family rooms, non-smoking rooms and smoking rooms. The establishment features numerous leisure facilities, including a pool and an outdoor pool. A range of options are available, including a gym, a spa, a sauna and a beauty salon. 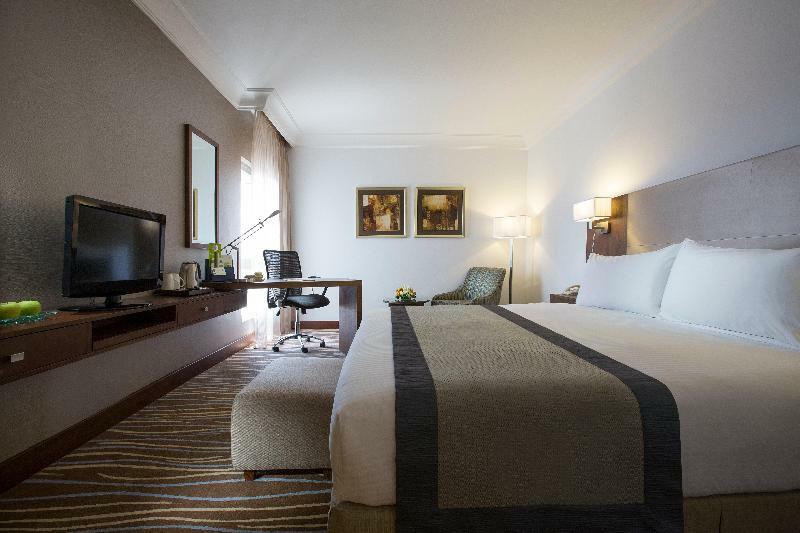 Your room your choice – We, at Rehlat believe you in offering a comfortable stay at Holiday Inn Abu Dhabi Downtown. 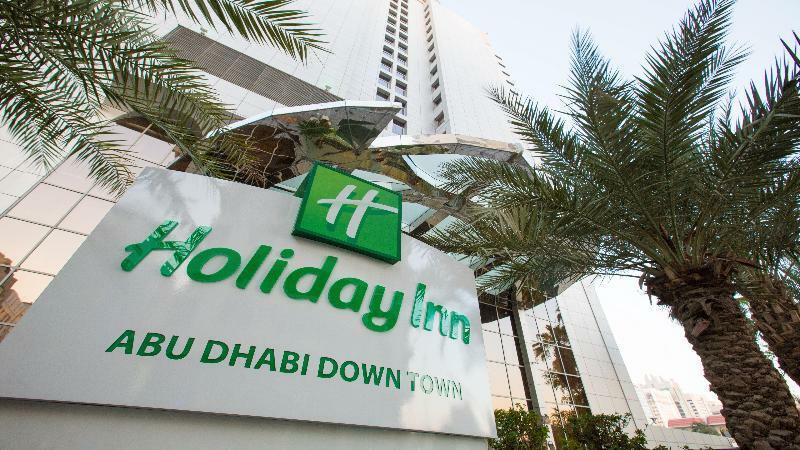 Get online hotel booking done for Holiday Inn Abu Dhabi Downtown with great discounts, offers, and last minute hotel deals. If you are confused about your choice and thinking if Holiday Inn Abu Dhabi Downtown is really comforting and offers good services, then read real time hotel reviews on Rehlat from guests who have already stayed there. 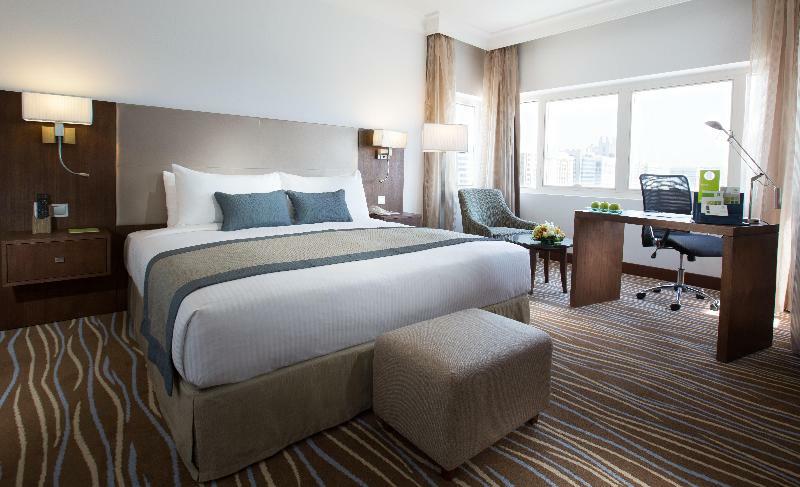 Besides this, you can also select room of your choice at Holiday Inn Abu Dhabi Downtown; be it a single room, double occupancy, or a suite, Rehlat guarantees the best and the cheapest hotel booking charges. Booked and now want to know, what’s in store for you? No worries! Rehlat has charted out the check in and checkout, amenities, services offered, room details, and all other information about Holiday Inn Abu Dhabi Downtown at one place. Moreover, leisure travelers can ideally stay at Holiday Inn Abu Dhabi Downtown with a mesmerizing view of the city's exquisite skyline. Hotel guests of Holiday Inn Abu Dhabi Downtown can enjoy the stay more by visiting the excellent shopping and fun areas in the vicinity. Budget hotels with real time hotel reviews and huge discounts and exciting offer. 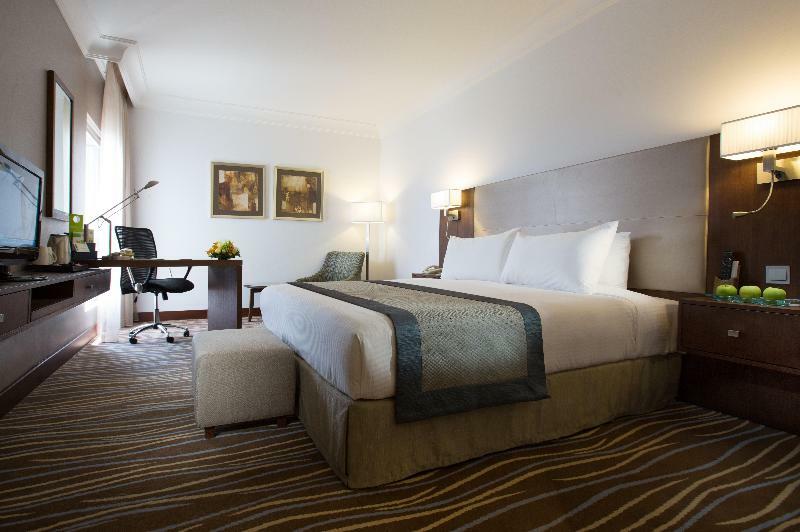 We guarantee best price for Holiday Inn Abu Dhabi Downtown. Get Holiday Inn Abu Dhabi Downtown reservation done instantly at Rehlat. Choose from list of cheap hotels in Abu Dhabi , read hotel reviews, and book online the best with Rehlat. cheapest hotels with world class facilities and book online.